The SWM-420A utilizes a 42" 1920 x 1080 Native Resolution LCD panel. The SWM-420A utilizes a 42" 1920 x 1080 Native Resolution LCD panel. 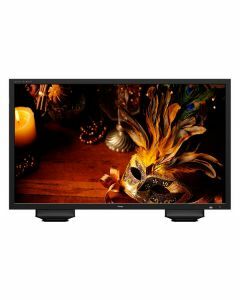 This model includes a wide range of inputs with 3G and TVLogic's industry-leading scaling technology. The slim bezel & range of remote control options make this an ideal monitor for galleries & trucks. A good size for a Tx monitor or for use with a multi-viewer.